A Note to Amtelco/Telescan Customers, Mike Hanzlik, Modem Express, Inc.
Leaves grow old gracefully, bring such joy in their last lingering days. How vibrant and bright is their final flurry of life." 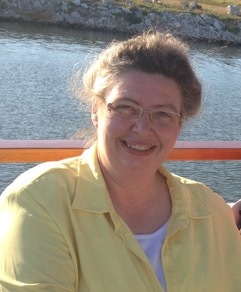 NAEO is pleased to announce the appointment of Marie McGuire of AnswerTel of Athens, Alabama to the board of Directors. Her term starts immediately and runs through 2021. Current president, Ian Cooke states “we are pleased to have Marie on the board. Her knowledge and insight of the industry will be a true asset to our organization. We are looking forward to working with her and appreciate her dedication to NAEO”. It is my pleasure to report NAEO’s financial performance for the period ending July 2018. 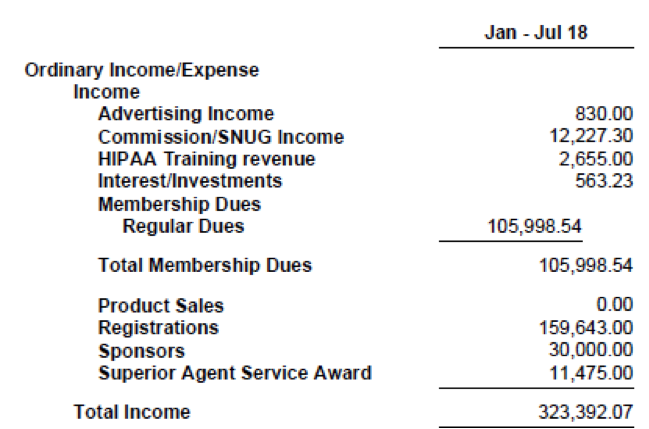 Total revenue is $323,392, most of the revenue is coming from Dues and Conference. NAEO added a new benefit in 2018 called HIPAA Training. This benefit has generated an additional revenue of $2,655. We also had a change in our membership dues renewal process. 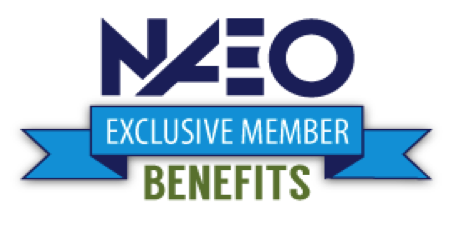 All members of NAEO membership is due on January 1st of each year. The good news is membership dues are ahead of budget by $27,248. Overall expenses as of July 2018 are $266,586. NAEO’s net income as of July 2018 is $56,806. The annual conference brought in $146,142 revenue. Expenses totaled $125,758. This provided a net profit of $20,384. Professional development (workshops and education) brought in $58,383. Expenses totaled $54,172, providing a net profit of $4,211. Membership, Administrative, and Board (MAB) as of July 2018 had Administrative expenses of $77,033 and board expenses of $9,327. Net income for MAB as of July 2018, is $32,208. With no unexpected financial events, NAEO 2018 fiscal year should be in line with past years. The first question that is often asked in our business when a serious storm is approaching is, “Are we prepared?” Over the years, we have educated ourselves on disaster preparedness. We have faced natural disasters before and worked through them successfully. We drew from these experiences and built out the company with redundancy at the forefront. All our equipment is in a Tier-4 data center in the center of the state, away from the coast. We have two of everything: Infinity servers, UltraComms, power connections, data connections, server farm, all backed up into the Cloud. We also have multiple office locations throughout the state in San Antonio, Corpus Christi, Houston, and Beaumont. Each office has redundant routers with two different incoming data circuits. Short of the data center completely going up in smoke, nothing could take us down…then came Harvey. Harvey first appeared as a tropical storm on August 17, 2017. By August 20, reports indicated that the storm could gain hurricane status with the Texas coast as the projected target. By August 23, all indications showed the storm had built up to a Category 4 and was going to hit Texas somewhere near Corpus Christi. We have a small office located just outside of Corpus, staffed by about 12 employees. Plans were immediately made to close that office down, so the staff could seek shelter. The next concern was that the storm would possibly move inland, directly toward San Antonio, which is the location of our largest office with a staff of 50 people. We brought in a gas generator and parked it outside the office. We have two internal UPS systems and two desperate data circuits, so we could still lose power and remain operational for a long time. Extra supplies were purchased for the office as we prepared to hunker down and ride out the storm. There was no concern for evacuation in San Antonio. The concern was rain, wind, and downed power lines. We were certain we could manage for the projected 24+ hours until the storm blew through. On August 24, the state of Texas issued mandatory evacuations for all counties surrounding Corpus Christi. Harvey made landfall on August 25 in Port Aransas as a Category 4 storm with sustained winds of 135 mph. The Rockport community was immediately devastated with more than 30 percent of the homes destroyed by high winds. As soon as Harvey made landfall, it quickly weakened. Wind speeds dropped, and the rain was consistent, but not overwhelming. We woke up on August 26 thinking we were going to be fine. Our office that is just south of Corpus Christi was back to being fully operational with just a few branches down in the parking lot. Considering the initial forecast, San Antonio made it through the storm almost untouched. No power outages - just some light flooding. There was general celebration. We dodged the bullet. The staff in Corpus had checked in. All were fine, and we breathed a collective sigh of relief. The forecast showed Harvey weakening and heading back out into the Gulf of Mexico. We knew the rain would continue and there may be some flooding. But, this was also Labor Day weekend, so most businesses would be closed Monday anyway, giving us more time to recover. By August 27, Harvey had moved back out into the Gulf and stopped just off the coast near Houston. It was now categorized as a tropical storm. But, as it churned over the Gulf, it was dumping massive amounts of rain on the greater Houston area. A colossal amount of rain was still pummeling Houston well into August 28. The area of flooding was larger than the state of New Jersey. Houston and the surrounding counties were declared disasters areas. More than 50 inches of rain fell on the city, which shut it down for the foreseeable future. Throughout the storm, we did all we could to stay in contact with our Houston agents to make sure they were safe. Most had, or were being, evacuated. Communication became very spotty. On August 29, Harvey came back inland, making landfall near Port Arthur and Beaumont. Our second largest office is in Beaumont with 30+ employees. For the first time, we felt that we were in real trouble. We had more than 40 employees who could not be accounted for from our Houston and Beaumont offices. The ability to stay in communication with our team members was becoming more difficult by the hour. Our number one priority was making sure our team members were safe and doing whatever we could to help them. It was now Tuesday. Almost every business between Houston and Beaumont was closed, which caused a massive call surge on our lines. We have 96 incoming circuits, but our PRI’s were busying out. There was no way we were going to be able to handle the call traffic without half of our employees present. We were being crushed by the incoming calls. Callers were trying to reach medical providers, pharmacies, service technicians, and city offices, all of which were closed and would remain so for the rest of the week. The fourth largest city in the country would be closed until the following Monday. Our people were exhausted, and we couldn’t come close to handling the call traffic that was inundating us around the clock. We posted an SOS message on the NAEO list serve, stating that we desperately needed help processing calls. Within an hour, several members had responded. Stenocall and Call 4 Health immediately had agents logged into our system. Dexcomm, Aamcom, Anser Services, Intercon Messaging, A-B communications, SW Call Centers, Apollo, and Tele-One all contacted us offering help. The outpouring of support from our industry was fantastic and humbling. For the first time since the storm hit, we started to regain hope. On Friday, September 1, the City of Beaumont water district sent out an emergency notice informing all residents to immediately stop using the city water, as it was contaminated. Our Beaumont office manager was finally able to get through to us, but she relayed a dire situation. She is a single mother of two teenage girls and needed help. Most employees had lost cars and homes. All were in shelters. There was no water, no food, and limited electricity. We have a friend in the Cajun Navy, which is a group of citizen volunteers that arrived with boats to help rescue people. We contacted Byron Bordelon, in Baton Rouge, who gave us an app that the Cajun Navy was using to stay in contact with one another. We relayed this information to our manager in Beaumont, and she was able to get through to a boat that brought her a loaf of bread, bottled water, peanut butter and jelly. She and her daughters had food for the first time in two days. It was now the weekend. And while the call traffic was still more than we could handle, even with help from our NAEO friends, the business was fine. But, we had to find our team members and get help to them. We reached out to Tifani Leal, with the NAEO board, to inquire if the association had any type of relief fund available. We had received enough reports by now to know that many of our employees in Houston and Beaumont had lost everything. The NAEO board called for an emergency session and voted to activate a relief fund for those affected by Hurricane Harvey. The board posted information about the relief fund and members immediately began making donations. At our office in San Antonio, we collected food, clothing, toiletries, and medicine. We organized a relief caravan to take off as soon as the roads opened into Houston and Beaumont. By September 4, we had connected with all employees but one. We left early Friday morning with two trucks and a cargo van, each loaded to capacity with food and supplies. We met our Houston team at a Walmart just off the highway. When we pulled into the parking lot, nine employees were waiting for us with their families. We supplied them with food, water, and clothing. Many had lost everything, and this was the first delivery of aid they had received. We will never forget the tears of joy. We spent two hours dispersing supplies before we were off to the next stop. The drive to Beaumont was surreal. I-10 is the major east/west transit for the southern half of the U.S. What are normally open plains on either side of the road were now lakes. Floating debris could be seen in all directions. The water had a blue/green hue to it from the chemicals that leaked out of the refineries in the area. As we approached Beaumont, we noticed the large number of helicopters in the air. We counted at least a dozen flying over the area. The National Guard set up a staging area just outside of the city on the fairgrounds. The grounds were a mass of military tents, heavy tractors, water trucks, Humvees, and helicopters. The city water system was still offline, so the only clean water to be used by Beaumont residents (pop. 120,000) was bottled water. There were lines of semi-trucks stacked with bottled water. They set up staging areas for water around the city. Since so many residents had lost their cars, they had to walk to an area to pick up a case of water. We pulled into our Beaumont office parking lot around 5 p.m. Most of our staff had already arrived with their families and were waiting for us. We began unloading the food, water, and clothing into the hallways of our office. Once the trucks were unloaded, we drove to an open grocery store, purchased food, drinks, and charcoal, and returned for a family cookout in the parking lot. It was the first hot meal most of them had eaten in six days. With smoke billowing out of the Weber grill, we finally relaxed. It was an opportunity to come together for barbecue and much needed normalcy. The following week, we learned that the NAEO board had approved disbursement of collected funds to our employees who had been affected by the storm. Twenty-three employees submitted applications. All were accepted, and NAEO wrote each one a check for $1,500. This was a huge boost to the morale of our team. Not only could they count on us to help them, but the wonderful association we belong to was jumping in to help rebuild their lives. The effects of Harvey would last for months to come for our staff and business. Numerous employees remained in shelters well into November. But, thanks to help from the NAEO, our company stuck together and continued to help each other through the ongoing challenges after Harvey destroyed so much for so many. Kevin Ryan is the Managing Partner for TAS United. He has been a member of NAEO since 2004 and been involved in the Telephone Answering Service business for over 30 years. Over the past weeks some of our friends and business associates have experienced extensive devastation as a result of Hurricane Florence. The NAEO Board of Directors has established the NAEO Relief Fund which will be supporting members/staff in areas impacted by the hurricane. If you or someone you know has been impacted by this disaster please fill out an application so that we can help and also read our guidelines. Every donation helps no matter how large or small, so please donate today. The 12th Annual 1Call Leadership and Training Seminar was held September 18-20 at the Park Hotel in Madison, WI. located on Madison, Wisconsin’s Capitol Square. This event gives healthcare organizations a unique opportunity to learn how to use the 1Call system to streamline communications throughout their organizations, as well as an opportunity to network with other healthcare communication professionals. Attendees are also able to talk directly with AMTELCO trainers, software developers, project managers, and field engineers. NAEO was well represented at Amtelco’s 1Call conference. Tifani Leal, Membership Chair, Rossi Fraenkel, HUG chair, Linda P. Wilson, A1 Professional Answering Service, and Theran Mossholder were invited to participate in the conference as presenters. NAEO had 2 sessions at this year’s conference. Tifani Leal with some help from Rossi did a presentation about NAEO and the benefits to the 1 Call group and Theran Mossholder followed with a session on Code scripting. All in the hope of attracting more healthcare/hospital members. The NAEO booth was armed with PDC Library videos, step by step guidance for the NAEO website, Flyers featuring NAEO’s many education opportunities, give-a-ways, and a raffle. Many seemed to be interested in Summer Series. Thanks to all who contributed to another successful 1Call. Attendees left with a wealth of knowledge and new networking connections. Inspired to contribute your efforts, creative ideas and passion to a smooth running organization and help further its development in the service of a great industry? If so, we strongly encourage you to let your name stand for election to the NAEO Board of Directors! NAEO is seeking candidates to run for the NAEO Board of Directors for terms beginning in February 2019. There are three openings for next year and the election will be held electronically prior to the NAEO Annual Conference in San Juan, Puerto Rico, March 10-13th, 2019. Being a Board Member is an interesting and rewarding job. You will share ideas and work with other industry leaders and directors gain special perspective on our industry and, of course, on the functioning of the very successful trade association that NAEO has become. It is a three-year commitment to work to make a difference in our association and in the well-being of our members. Candidates seeking election should be individuals who are action-oriented, enthusiastic, honest and hardworking. 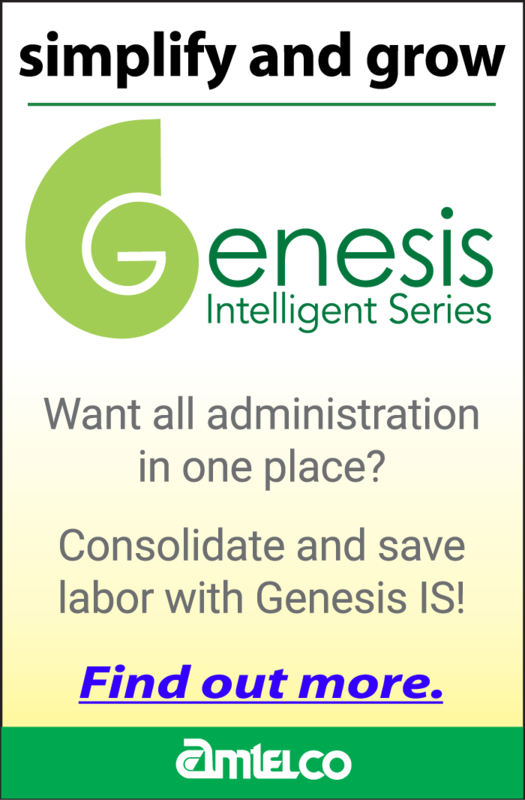 Both owners and key managers from hospitals and private TAS/Call Center businesses are eligible to run. 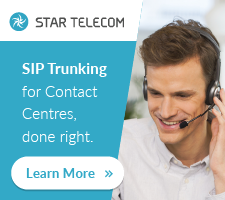 Required is some in-depth experience in an organization that utilizes Amtelco call processing equipment and some time and enthusiasm to take on organizational and industry issues. There are three in-person meetings each year: one at the NAEO Annual Conference; one in Madison, WI in the spring where you will also meet with Amtelco leadership; and one in the fall at the site of the following year’s conference. There are one-hour monthly Board meetings via telephone in the months in-between. Board members also typically serve as Committee Chairpersons. While we meet in-person three times a year we also conduct a great deal of business by e-mail, telephone and conference calls. There is no monetary compensation for Board membership; however, in recognition of the efforts of the Board and the work that they do at the Annual Conference, Board members receive a 50% discount in conference fees. Additionally, all expenses that are incurred for travel to and from non-conference Board meetings are paid by NAEO. Please consider running for the Board. We need people who love the industry and want to learn as much as possible and who are willing, ready and able to share their time and talents for the benefit of our industry. If you are interested please complete the nominations form here. You can nominate a fellow NAEO member or yourself by filling out the nomination form. Please note that the nomination forms are due to the NAEO Office by November 7, 2018. For more specific information on the commitment of being a NAEO Board member click herefor the Board of Directors Job Description and feel free to contact any of us with any specific questions.